At least 817 people have been killed in Mizoram during the last 10 years, state traffic officials said on Monday. Several hundreds were also injured in accidents during the same period. This was highlighted at the one-day traffic awareness programme for media on road safety and its related issues held at the Aizawl Press Club in the capital city of Mizoram on Monday. Speaking at programme, Aizawl district deputy Superintendent of Police (Traffic) C Vanlalvena informed that as many as 1056 road accidents took place between 2008 and 2017 that caused deaths of 817 people. He added most of the accidents took place because of the fault of the drivers followed by mechanical snag. According to Vanlalvena, as many as 60 people died in 68 roads accidents last year. He also said one of the victims lost his life due to bad road conditions. He further added that the highest number of road accident related deaths was reported in January last year when at least 13 people died in 11 road accidents. Vanlalvena informed that the State Road Safety Council has set a target to achieve 50 per cent reduction of road accidents by 2020. Aizawl district Superintendent of Police (Traffic) C Laltianmawla presided over the programme. In his speech, he expressed serious concern over the growing number of vehicles in the State, especially in the capital city of Aizawl. He also lamented the absence of proper traffic management and town planning. 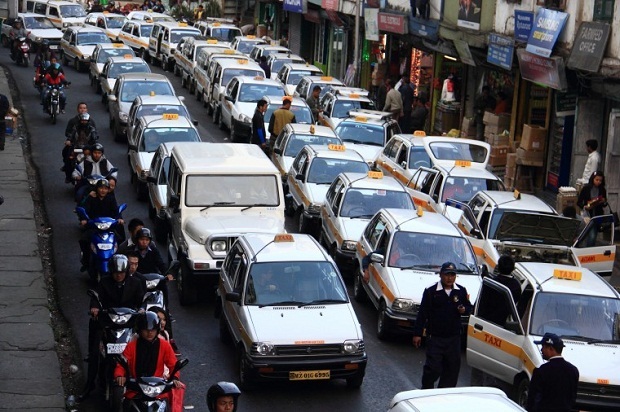 He said over 1.26 lakh vehicles including 8,0,148 two-wheelers have been registered in Aizawl district alone which causes frequent traffic snarls in the capital city. According to the SP (Traffic), Aizawl alond harbours 60 to 70 per cent of the total vehicles in the State and an estimated 88,500 vehicles are floating within Aizawl city on daily basis. He also said around 30 to 40 vehicles are registered every day. He informed that the density of vehicles per kilometre within Aizawl is 300 which mean one traffic policeman has to look after 300 to 400 vehicles a day. He further stressed the need for proper traffic management to avoid regular traffic jams.